7th Regiment won the DrumLine Battle Indianapolis event hosted as part of the DCI World Championship Finals for the third year in a row. Check out the video of their winning performance. The Blue Devils posted a video of the their encore performance at Lucas Oil Stadium after winning the corps' 18th DCI World Championship title. After a long and successful summer tour, the Blue Knights are recruiting volunteers to help unload food and supplies this Sunday in Denver. Blue Stars have six baritone horns available for immediate delivery. Bluecoats Indoor, a brand new WGI Sport of the Arts color guard, will be hosting auditions next month outside Indianapolis. The Cadets have an open search for a new director of performing ensembles and other administrative positions. Feel the power of Carolina Crown's Jim Ott Best Brass Performance Award-winning horn line in this brief but thrilling warm-up circle video. Crossmen had a marriage proposal take place during the corps' season-ending age-out ceremony in Indianapolis. It's only eight seconds long, but this video of the Genesis equipment truck doors closing is a perfect metaphor for the ending of the 2017 DCI Summer Tour. Legends gives a shout out to their drum major Noah Koch, who aged out after marching 10 seasons with the corps. Music City is recruiting for someone to become the corps' first full-time executive director. This touching story explains why one of Pacific Crest's age-outs wasn't wearing the corps' standard uniform during the age-out ceremony at Lucas Oil Stadium following the DCI World Championship Semifinals. Pioneer is still seeking contributions to help replace the corps RV that was totaled while on tour. Check out this rehearsal video of River City Rhythm's winning bass line, which took the gold medal at the DCI Performer's Showcase presented by System Blue in Indianapolis. The Vanguard organization has a large amount of performance items for sale, including all flags, equipment, and props used by all three of the Vanguard corps that performed this summer in Indianapolis. 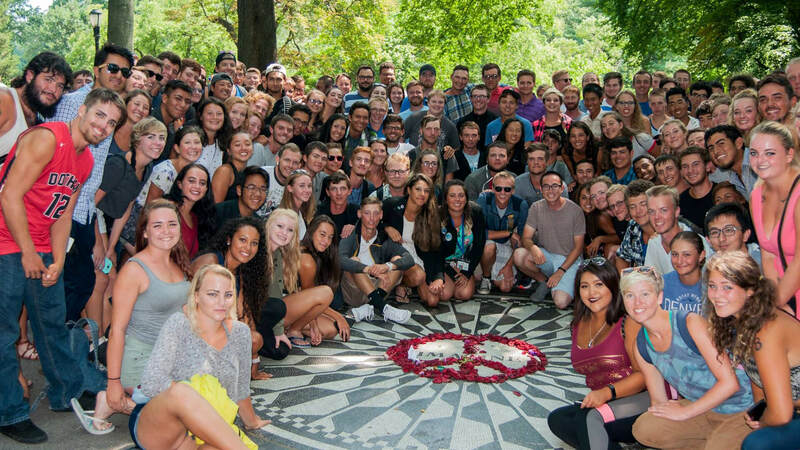 During Seattle Cascades' free day in New York City, the corps visited Strawberry Fields, the Central Park memorial to John Lennon. Lennon's “Imagine” is Cascades' corps song. Spartans is requesting that all drum corps fans vote for the Boys and Girls Club of Greater Nashua to receive a grant from the State Farm Neighborhood Assist program. The club provides the corps with its home base during the offseason.